The awnings you hang outside of your front door are as much a part of your business structure as the building itself. Awnings have a way of welcoming and guiding a customer to your business. Because of their prominence, awnings are readily seen by all and their condition is a reflection on your business. 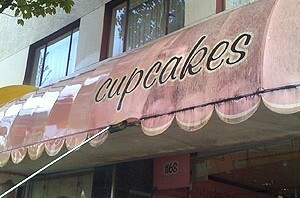 Dirty or neglected awnings reflect badly on your business and can even make it look like you are no longer in business. Fortunately having your commercial awnings cleaned does not have to be a stressful event. Rather than waiting for your awnings to turn black with grime and stains, a program of regularly scheduled awning cleaning and maintenance will not only make the job easier to do, but also make your awnings last longer. Much like you proactively wash your clothing even if it is not stained, you want to have your awnings washed in regular intervals even if they show little or no grime buildup and staining. Why? The fabric in your awnings has a protective waterproofing layer that protects the awning fabric from the harsh elements. This is why water beads up and rolls off of brand new awnings. Over time and exposure to the elements this protective layer erodes away and leaves the fabric susceptible to water, dirt, dust, smog, bird droppings and other contaminants. An easy way to tell if your awnings still have this protective barrier is to spray some water on them. If it rolls right off then you are okay, but if it soaks right in to the fabric then the protective coating on your awnings has completely eroded away. When you have your awnings professionally cleaned and treated the protective coating is restored which allows your awnings to last much longer. There is no doubt that hiring a pressure washer to clean your awnings can save you time and potentially a lot of money. If you are looking into having your awnings cleaned or would simply like more information about awning cleaning, contact J&L Professional Services today. With more than 15 years cleaning awnings, J&L Professional Services has the experience and tools to make your awnings look like new. Call or contact J&L Professional Services today to schedule your awning cleaning service! Can Pressure Washing Really Enhance Your Business? Most business owners understand how a pressure washer can help their property look it’s best. After all, pressure washing has the unique ability to remove even the toughest grime in a very short time frame. It is especially effective on surfaces that hand scrubbing cannot clean as well such as parking lots, sidewalks, awnings, and building facades. But pressure washing does just more than clean. Pressure washing directly contributes to the all-important first impression that a customer will form about a business. Exterior Walls – If the exterior walls around your building are dirty your building itself could portray the image of a dull or unsanitary location. 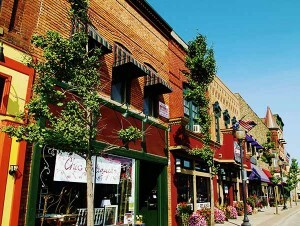 Paint and brightly colored awnings, once vibrant, now look muted and do not attract customers. Pressure washing these areas not only removes the dirt and restores colors but it also helps maintain these surfaces so they can last as long as possible, avoiding the need to replace or repaint. Sidewalks & Parking Lots – These are frequently the most heavily trafficked area of any business (and often cleaned the least). It is precisely because these areas are so heavily used by your customers that they should be power washed more frequently. As your customers park and walk up to your front door these areas have a direct influence on your customers impression of the business. Do oil stains, chewing gum, and tobacco spit really portray the message you want to portray about your business? Awnings, be it on a commercial building or a home, can make a huge difference on the property it is attached to. When done right, awnings can take a regular window space and transform it a cozy inviting setting. Besides the fact that they add a touch of style to a home or professionalism to a business they also serve practical purposes. Awnings can keep the blistering mid-day sun from shining directly through your window (which in turn, keeps your a/c bill down), they also serve as shelter for customers waiting in the rain to be picked up. Because of the material they are made of and their direct exposure to the elements, awnings can become very dirty very quickly! If you own awnings then you already know that without the proper care and cleaning your awnings will go from fab to drab in no time. Being directly exposed to the elements and the weather age your awnings quicker than anything. Awnings can accumulate a type of dirty grime that almost laminates them and without the proper awning cleaning these film deposits are nearly impossible to remove. Regularly pressure washing you awnings is the only efficient answer to removing these deposits and preventing new ones from occurring. 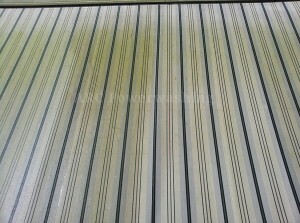 Cleaning your own awnings (especially after these deposits have started to take hold) can be a nearly impossible task. The proper tools and attachments need to be determined, as well as the proper detergents. 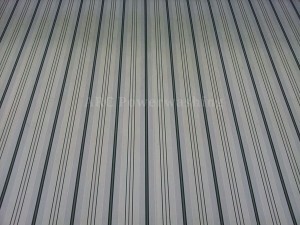 The selection of these is dependent on the material your awnings are made from. Make the wrong selection and you may damage or even destroy your own awnings. For that reason awning cleaning, both residential and commercial, is best left to the pros. There is no doubt that hiring a pressure washer to clean your awnings can save you time and potential a lot of money. If you are looking into having your awnings cleaned or would simply like more information about awning cleaning, contact J&L Professional Services today. With more than 15 years cleaning awnings, J&L Professional Services has the experience and tools to make your awnings look like new. Call or contact J&L Professional Services today to schedule your awning cleaning service! Many commercial buildings, including retail storefronts, restaurant patios, and real estate showcases have the wonderful addition of a vinyl or fabric awning. Awnings are a wonderful addition to commercial buildings. Awnings weather easily. Within 6-8 months, a new awning can accumulate blackish streaks from dirt, debris and acid rain. For southern areas like Wake Forest, pollen also presents a terrible looking problem. Once these pollutants get embedded into your awning, it may be difficult or impossible to remove. J&L Professional Services has been washing awnings around Raleigh / Triangle area for over 5 years. We have been seen from Cameron Village to Southgate Mall scrubbing awnings of all types. Our arduous hand-scrubbing technique and awning specific detergent has been providing quality results around the Triangle. In order to maintain the professional appearance of your awning, as well as protect it’s life-expectancy, we recommend having your commercial awnings cleaned twice a year. Spring and Fall are great seasons to have your awnings cleaned, right after the seasonal pollen has washed thru.